Attempt to pass the ball back goes awry. Barcelona midfielder Rafinha managed to kick a child’s ball into a tree when attempting to pass it back to them. 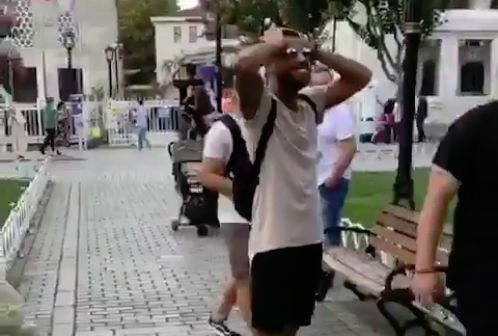 The 25-year-old, with his location set to Istanbul in Turkey, booted the ball past the group of waiting children before an old-fashioned tree shake ensued. The Brazilian central midfielder, whose spent his entire career at the Spanish club but is yet to make more than one substitute appearance this season, ends up with his hands on his head in horror. A video of the incident, captured by a friend who passed the ball to Rafinha, was uploaded to the player’s Instagram account.